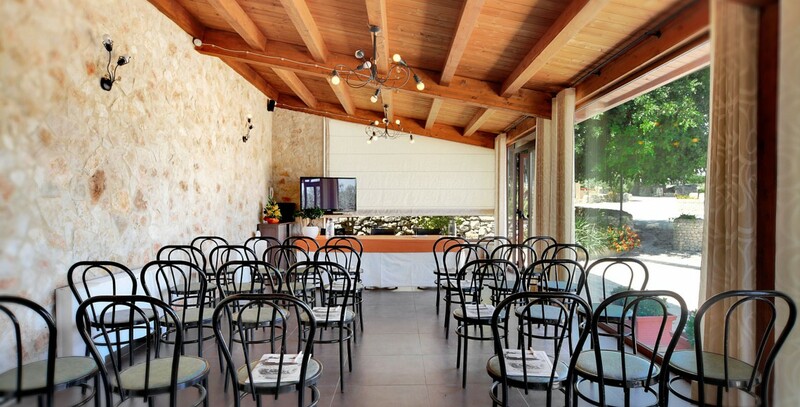 Artemisia Resort makes available a meeting room “Sala del Giglio” where you can organize your conference and you can choose from different accommodations: auditorium, horseshoe shaped, table in the middle of the room, with desks. The maximum capacity of this room is 40 people. 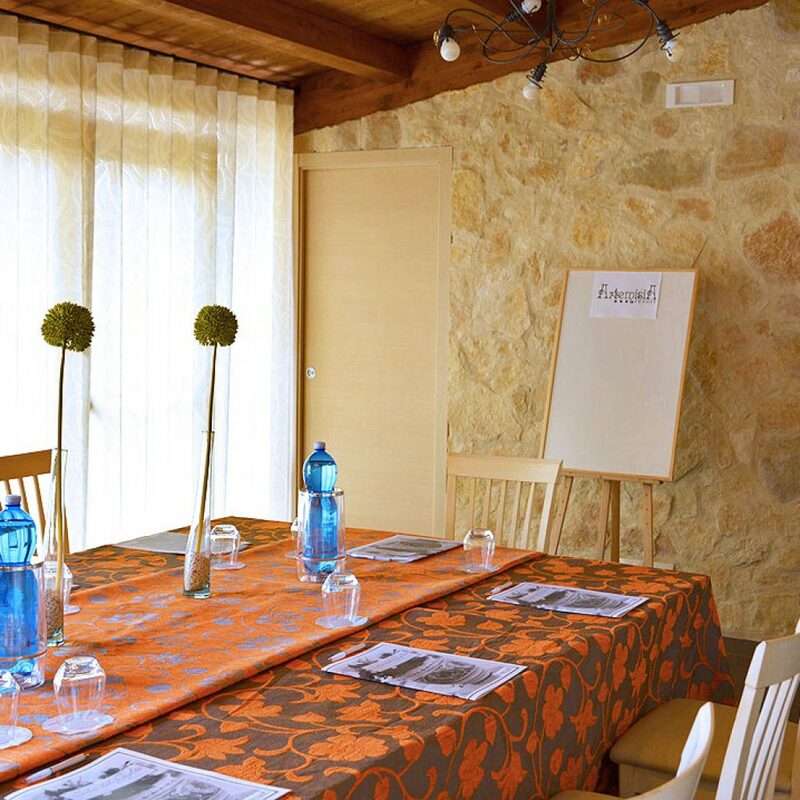 Your meeting will be an eco-meeting, because the hotel adopts an internal plan about the respect of the environment. In fact the room has been designed with wide windows so that the use of the electric light is reduced and at the same time it’s guaranteed a fascinating view of the olive tree groove. You will have at your disposal: TV, MICHROPHONE, BLACKBOARD, PRIVATE BATHROOM, PRIVATE TERRACE, CAR PARKING. 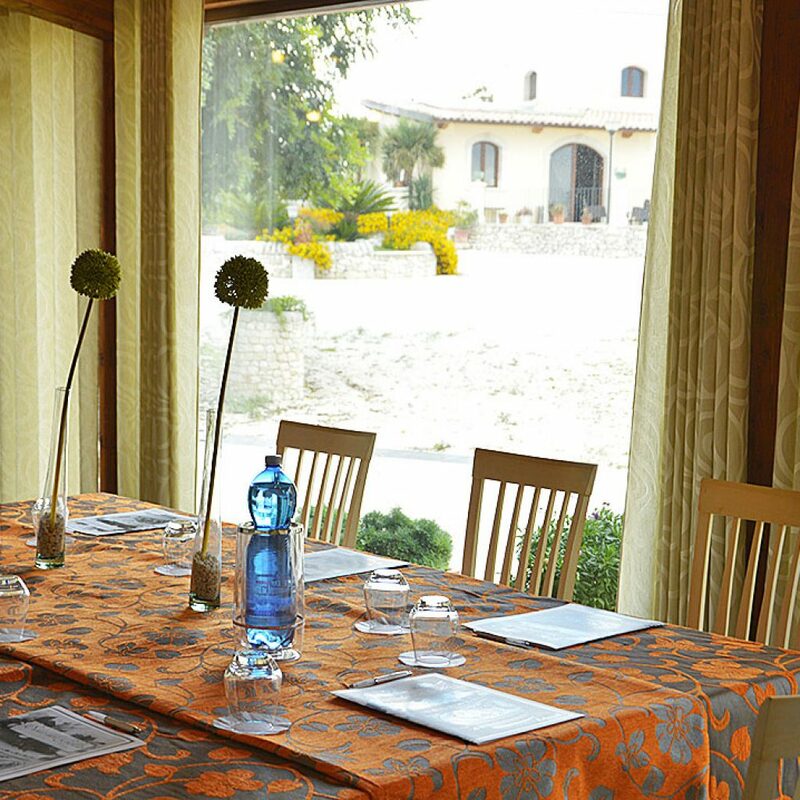 It’s possible to organize a coffee-break or a light lunch in one of the most suggestive corners of the garden or in one of the interior rooms of the resort.